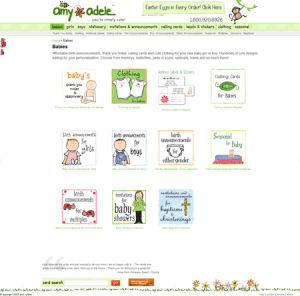 Amy Adele LLC is a small greeting card and personal stationery publisher. Amy’s cards tend to be simple with lots of white space and they wanted that to carry over onto the site. Amy wanted to feature her art and her cute and charming style while still communicating a modern, professional publishing company.